Angus Young’s incendiary tone has inspired wave after wave of rock guitar heroes, and turned on countless players to the power of his seminal guitar of choice, the SG. Now the Gibson USA Angus Young SG puts all the tone and playability of this classic double-cutaway into a signature model made to Young’s own specs. The result is an instrument with all the punch, crunch and sizzle that Angus achieves with his treasured SG, in a guitar that’s still well within reach of the workaday rocker. Classic rock doesn’t get much bigger than AC/DC, and no one wallops out the massive, bone-crunching tone like Angus Young on his Gibson SG. What is your favourite new electric guitar released in 2017…? 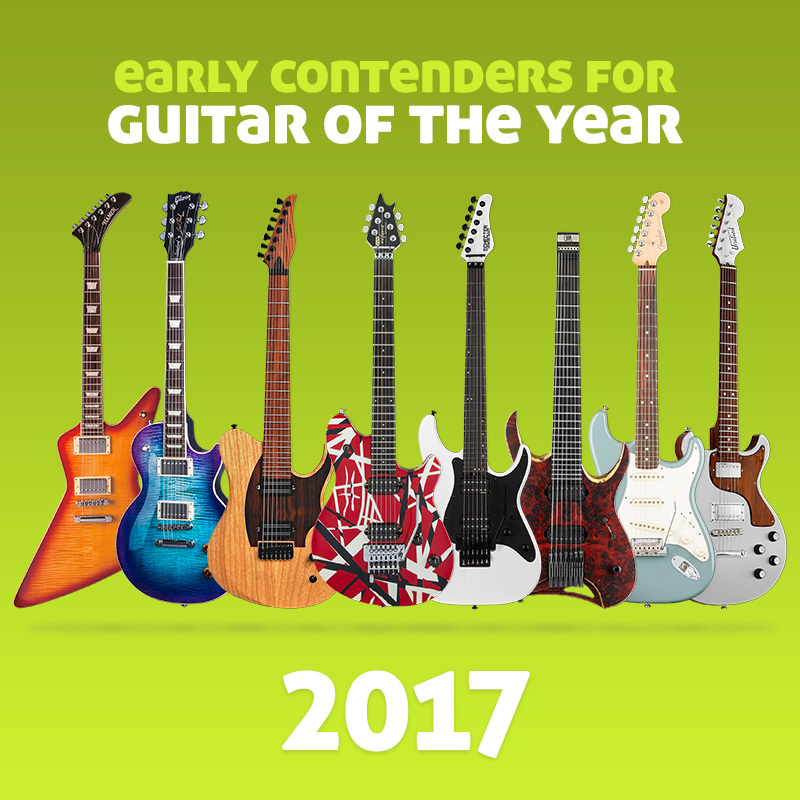 Vote for your favourite guitar of 2018 Vote now!